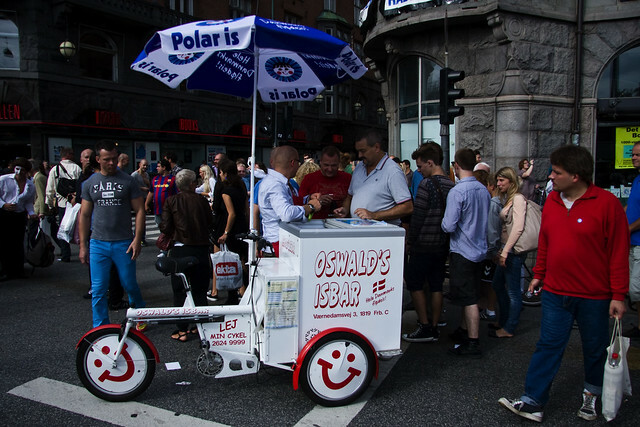 If you're a regular reader of Copenhagenize, you've probably seen us blog a photo or two of cargo bike vendors. 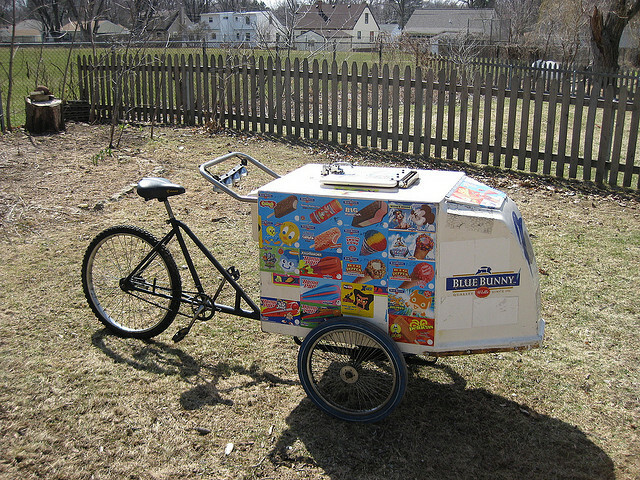 The ice cream bar is, hands down, one of my favorite cargo bikes to see cruising around town. With bicycle culture, and now cargo bike culture, emerging around the world it's refreshing to see examples from cities that aren't Amsterdam or Copenhagen. Here's one straight out of Winnipeg, Canada: The Dickie Dee Ice Cream company. Having been to wonderful wintry Winnipeg recently for the Kickstand Sessions it's hard to imagine ever getting a hankering for an eskimo pie or a popsicle. Nevertheless, after being founded in 1959, Dickie Dee rode their way to the top - becoming one of the largest vending companies in North America - selling creamsicles and ice cream sandwiches straight from the front of their fiberglass cooler box cargo bikes. Here's to hoping we hear a few more of those handle bar bells jingling around town.